Topp kvalitet kilder sikre konsistente, pålitelige tenning pluss, pålitelig ytelse. Gir lavere-vekttap absolutt nødvendig for å oppnå ren-bryter, lettere-følelse utløseren ettertraktet av 1911 aficionados overalt. Works great and installs easily/quickly! For around [$] can't beat it for 5 springs! Does exactly what it's supposed to do! consistent 19lb. 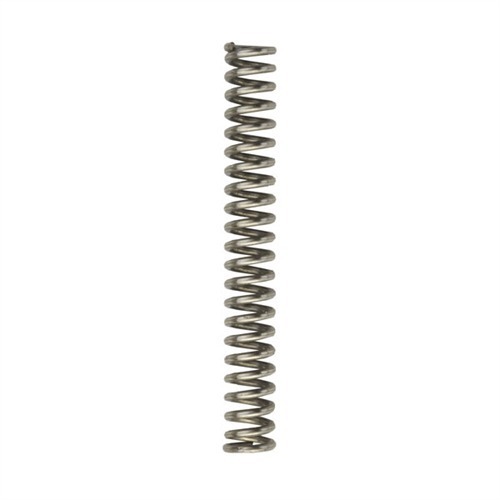 competition mainspring.nice quality/product.comes in a 5 pack-handy cause i change with every recoil and firing pin spring change,about every 1000 rounds. I've found these Ed Brown 19# five packs the best value out there, consistently. You can bring your trigger pull weight down by monkeying around with your sear spring, but if you get it wrong then you're out a sear spring too. Factory mainspring is 23# in virtually all 1911s, assuming you have a decent trigger to begin with, installing one of these is an easy trigger job. I would not go below 19#. One caution though: Also always install an extra-power firing pin return spring as well when you do this, or you'll hate yourself the next time you shoot. AKA, "floppy firing pin syndrome". Great product from Ed Brown. Spring is much longer than the stock spring on my newly purchased Springfield 1911 Range Officer. Installation was simple enough but hammer wouldn't go all the way back. Spring does not compress enough. I did cut a few coils off the new spring which allows it to work properly and gave the desired results. Produsentnr. : 919 800732919003 Topp kvalitet kilder sikre konsistente, pålitelige tenning pluss, pålitelig ytelse. Gir lavere-vekttap absolutt nødvendig for å oppnå ren-bryter, lettere-følelse utløseren ettertraktet av 1911 aficionados overalt.